thank you for taking me into your garden and sharing enchantment! Great photo and haiku…love the magic!! I adore your mythical haiku today ! Happy Friday ! Oh there are such magical wild things just outside that conservatory door of yours… I love seeing him, does he miss me? I love a good splurge of green. That’s always magical, and your photography is as well. Thanks for sharing. 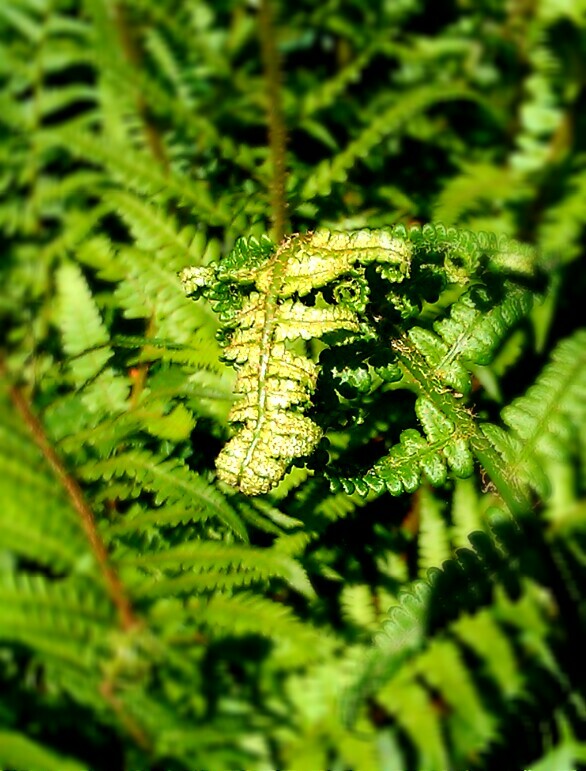 Yes, dragons amongst thew ferns. I’ can see them in the curly tops. Very nice image. oh i hope a spring dragon visits my garden. i’d even wait for a summer dragon. Oh, magical in every sense. I had to enlarge the photo to see the “dragon” and was delighted to see that it was there. Unfurling fronds as dragons. Love!